The American Southwest is characterized by environmentally and culturally diverse landscapes, which include the northern Rio Grande valley as it cuts through north-central New Mexico from Taos to Albuquerque. The region has a long and rich history of anthropological research primarily focused on the archaeological remains found along this valley corridor. Only recently has research involving large-scale surveys and excavations been conducted on the nearby mesas and mountains that form the rugged margins of the river valley. From Mountain Top to Valley Bottom incorporates this new research into a perspective that links the ever-changing and complementary nature of lowland and upland land use. The essays in this collection are unified by three specific themes: landscape, movement, and technology. Landscape involves the ecological backdrop of the northern Rio Grande valley, including past and present environments. Movement refers to the positioning of people across the landscape along with the dynamic and fluid nature with which people—past and present—view their relationship with the “above” and “below.” Technology not only refers to the tools and facilities that past people may have used but to the organization of labor needed to cooperatively exploit a variety of subsistence resources and the exchange of products across the region. This volume provides both a cross section of current research from expert scholars and a broad perspective that seeks to integrate new data from lowland and upland contexts. 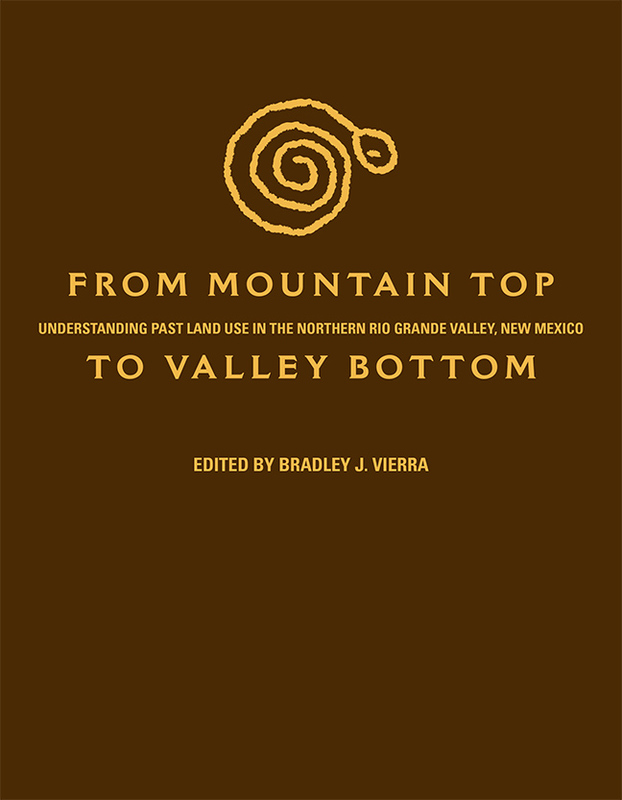 From Mountain Top to Valley Bottom will appeal to those interested in obsidian source studies, geoarchaeology, past climatic regimes, foraging societies, early agriculture, ceramic technology, subsistence, early village formation, ethnogenesis, and historic multiethnic economies. Bradley J. Vierra received his PhD from the University of New Mexico and is principal investigator and director of the material studies program at Statistical Research Inc.